Seventeen years after the US invasion of Afghanistan, many residents of the country have changed their minds for the worse on the Americans. The war, by many measures, keeps getting worse. As Sputnik News recently reported, Afghan authorities control or influence a mere 55.5 percent of the country, according to the US Military's Special Inspector General on Afghanistan Reconstruction (SIGAR), the lowest figure since the government oversight authority began keeping tabs on it in November 2015. Despite the grim landscape, Afghan President Ashraf Ghani told an audience of students at an influential Washington university on Monday that "the Taliban are not in a winning position." 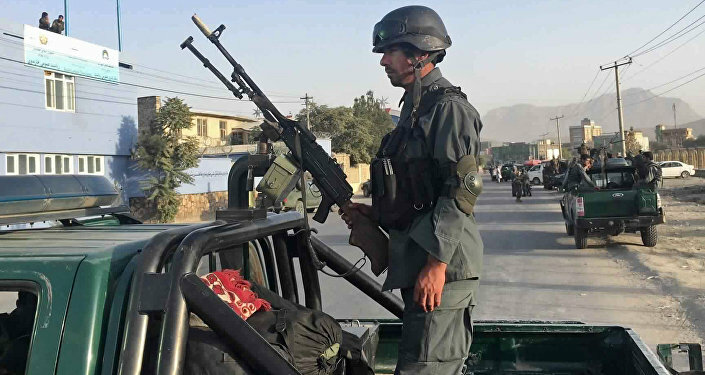 That same day, a suicide bomber in Kabul targeted demonstrators protesting the lack of security against the Taliban provided by the government, and the militants made further gains in the east. While US and NATO troop presence is down from its height of 150,000, now at just 15,000, air campaigns appear more active than ever. The US Air Force, under President Donald Trump, is dropping bombs in Afghanistan at a higher rate than ever before this year, with 4,943 bombs dropped by the end of September in 2018, whereas 4,266 were dropped in that same time period in 2011. The US started keeping track in 2009. According to Ghani, 28,000 members of his country's forces have been killed in the past four years alone. It's difficult to tell how great the losses are to Afghanistan's' forces because those numbers have been classified at the request of Afghan authorities since September last year. 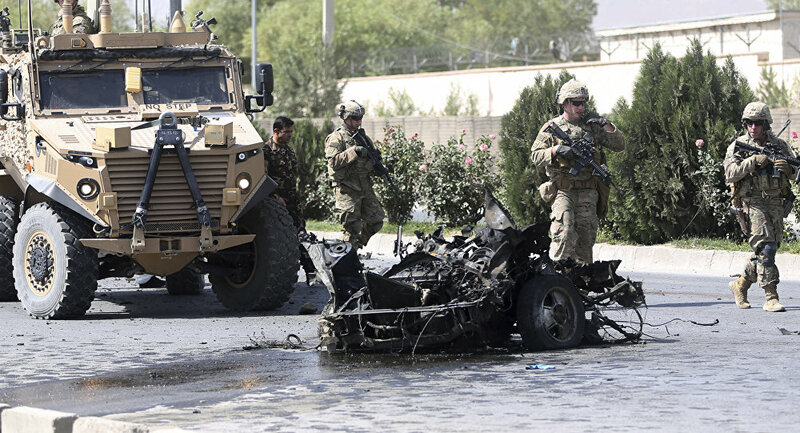 "From the period of May 1 to the most current data as of Oct. 1, 2018, the average number of casualties the [Afghan forces] suffered is the greatest it has ever been during like periods," NATO's mission in the country, Resolute Support, told SIGAR recently. The US has lost 2,400 soldiers in its many years of involvement in the country, which was rebranded in 2014 from "Enduring Freedom," a combat mission, to "Freedom Sentinel," ostensibly a mission of support. Since 2001, the US has spent $900 billion in these efforts with few signs of progress. The $132 billion the US has spent on reconstruction in Afghanistan eclipses the amount the US spent on Western Europe after World War II in inflation-adjusted dollars, John Sopko, the head of SIGAR, recently said. "Even after 17 years of US and coalition effort and financial largesse, Afghanistan remains one of the poorest, least educated and most corrupt countries in the world," he said. "It is also one of the most violent." Now, Afghans who once greeted American forces as liberators hold grudges and believe conspiracy theories about them, the Associated Press reports. "I think you would be hard pressed to find somebody in Afghanistan today to say that the United States has made their country better, or that the war has made gains for them, unless they happen to be people who have benefitted from these tremendously corrupt practices," Kathy Kelly, co-coordinator of Voices for Creative Non-Violence, told Radio Sputnik in early November. Mohammed Ismail Qasimyar, a member of the High Peace Council of Afghanistan, suspects that the US and Pakistan intended to spread chaos in his country in order to prolong their occupation so they could spy on Iran, China and Russia. "Either they did not want to or they could not do it," he told AP of the US effort to depose the Taliban. "They have made a hell, not a paradise for us." The country is "rife" with similar theories, AP reports. One fabric merchant in Kabul's main bazaar told the outlet he had welcomed the US overthrow of the Taliban, which had shuttered his photography studio, calling it "un-Islamic." "How is it that a superpower like the United States cannot stop the Taliban? It is a question every Afghan is asking," he said. "After the Taliban, we were expecting something good, but instead, day by day, it is getting worse." "In 2001, the Afghan people supported the arrival of the United States and the international community wholeheartedly," Hamid Karzai, former three-time president of Afghanistan, told AP. "Then we saw the United States either changed course or simply neglected the views of the Afghan people and the conditions of the Afghans." Karzai said the US' failure to take out Taliban compounds in Pakistan, which are sometimes credited with giving the Taliban seemingly infinite pools of potential jihadists to recruit from, is partly responsible for the protracted conflict. He also blamed US bombings of Afghan villages and raids on people's homes. Other Afghans, AP notes, blame the "notoriously corrupt government" which Karzai "headed for more than a decade." "All the money that has come to this country has gone to the people in power. 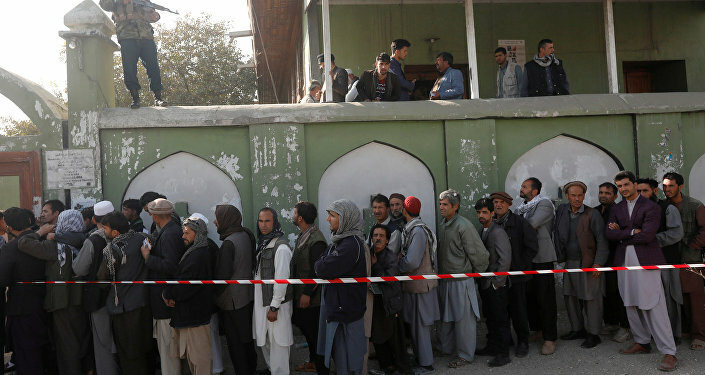 The poor people didn't get anything," a laborer in Kabul's Old City who struggles on $4 a day to feed his family told AP. "The foreigners are not making things better. They should go." In this Oct. 26, 2018 photo, Jawad Mohammadi, a former member of the Afghan National Security Forces, sits with his children as he gives an interview to The Associated Press, at his home in Kabul, Afghanistan. One former soldier of the Afghan army, who walked out after five years, forsaking his $180 a month salary, said morale is at an all-time low among troops, with many sympathizing with the Taliban. If one of AP's sources is any indication, the deaths 28,000 Afghan forces in the past four years, cited by the current president, have taken a toll on the wider population as well. The outlet talked to Jawad Mohammadi, photographing him with his two infant sons. Mohammadi served for more than seven years with the Afghan security forces until he lost both of his legs to a landmine at just 25 years old. When he was trained with his mine detector by foreigners, they would tell him to wave it over a piece of metal to make sure it was working before leaving camp. But when it wouldn't, his Afghan commander would tell him to go out anyways. He lost his legs because the device failed to detect the bomb. "I felt myself being thrown through the air," he told AP. "I looked, and I saw my legs were near me, and there was so much blood. I yelled: ‘Please help me.'"